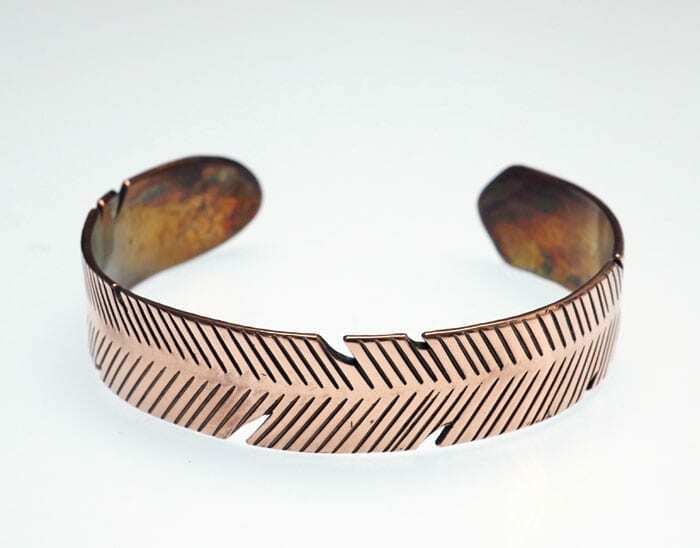 Formed from copper, this bracelet is adorned with feather shapes and designs. A seemingly simple construction with great feeling. Bracelet has an inside circumference of 6 5/8 inches, which includes 5 5/8 inches of copper and a 1 inch opening; bracelet is 1/2 inch wide. Myron Panteah, an award-winning Zuni metalsmith, often combines sterling silver with gold in petroglyph-rich designs. 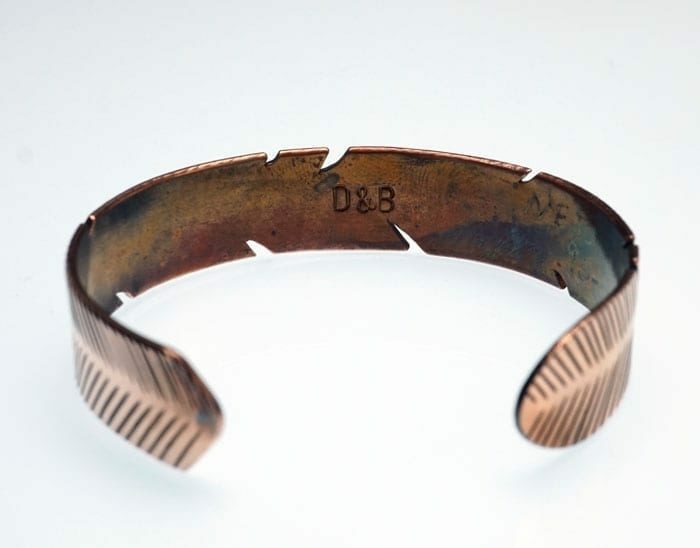 This stunning cuff bracelet includes many pierced designs as well as 14K gold overlay . Bracelet is 3/4" wide, and will fit a 7 1/4" wrist. 1 3/8" opening.